Turmeric supplements containing 95% curcumin. A tip - make sure your supplement also contains piperine which will help your body absorb the curcumin. It seems like Turmeric, the bright yellow spice grown in India, has become a new trend when it comes to health benefits. Well maybe not a new trend, I had my first Turmeric latte at Pret over a year ago and the supplements have been popular for as long as I can remember. Still, I feel that it's almost starting to become a hype thing and it is more popular than ever. The other day I went to a very interesting Pinterest event together with Annabell and Zsanett, where we learned lots of new and exciting things (so check out our Pinterest account :P). At the event, they told us that 'Turmeric' is one of the most searched words on Pinterest atm, and because of this they served us yummy and soothing turmeric lattes in one of our breaks. It made me think about the fact that I have been taking turmeric supplements for years, and I became curious to find out more about the benefits. I, of course, have my reasons for taking the supplement, which I will get back to very soon - but I soon found out that I knew very little actually about all its powers. After some research for personal interest, I decided to write this post. I'm not surprised that Turmeric had become so very popular! This herb (or spice) is apparently incredible for your health. I started taking the turmeric supplements a couple of years ago when I was really struggling with inflammation in my shoulders. Turmeric is maybe most known for being anti-inflammatory and I was recommended it by my mum who swears by it and is struggling with the same back/shoulder problems as I am. She is also an expert when it comes to nutrition after many years working in that industry. So when my mom tells me to take a certain supplement, I do as she says! For the last year or so my inflammation has settled down, and the pain is barely ever there. And I was in a lot of pain, to the point I couldn't sleep or even lift my arms. The combination of weirdly placed shoulder blades, doing the wrong exercises, carrying super heavy uni-books, as well as also carrying a quite heavy model portfolio whilst running around in heels all day is not ideal for your back. Luckily I'm sooooo much better now. However, I don't think I can give the Turmeric all the credit. Some of it might absolutely be due to the turmeric, it is the only thing I have been taking that has inflammatory powers - I have otherwise tried my best to stay clear of painkillers and other chemicals. But I also have to give credit to physiotherapy, and of course the fact that I don't carry as heavy things any more (at least not as often). The main active ingredient in Turmeric is Curcumin. It is the curcumin that has these amazing natural anti-inflammatory powers. As the content of curcumin in turmeric is very small, you have to take a concentrated supplement to benefit from it as you won't be able to add enough of the spice to your food and/or drink in terms of getting a high enough dosage of curcumin. Tip! It is advised to take curcumin supplements together with piperine, which is found in black pepper. Piperine enhances the absorption of curcumin by 2000%. Most turmeric/curcumin supplements already consist of piperine as well, but make sure to check for it. A study shows that Turmeric, or more correctly the Curcumin, can prevent memory loss and problems, as well as actually improving your memory. This particular study from The American Journal of Geriatric Psychiatry showed that the participants who were taking curcumin supplements improved their memory function by an average of 28% over 18 months. Even their depression scores improved. Sounds too good to be true right!? But apparently, there is scientific proof, which should be a good reason to believe in the powers of Curcumin! The image here is of the nice Turmeric Latte we got at the Pinterest event the other day (+ a very tasty doughnut). Photo: Zsanett and I visited 26 Grains in Covent Garden the other day where we ordered ourselves a turmeric latte with oat milk, and a turmeric hot chocolate with almond milk. It was pretty yummy (at least the hot chocolate!!). Reading between the lines of all of these articles about turmeric, there is no doubt at all that turmeric has lots of great health benefits - but can it reduce the risk of cancer? Well, that is not a statement I'm in any way qualified to make. It seems that this key ingredient, curcumin, has some fantastic benefits that can have positive effects on several aspects of your bodies health. 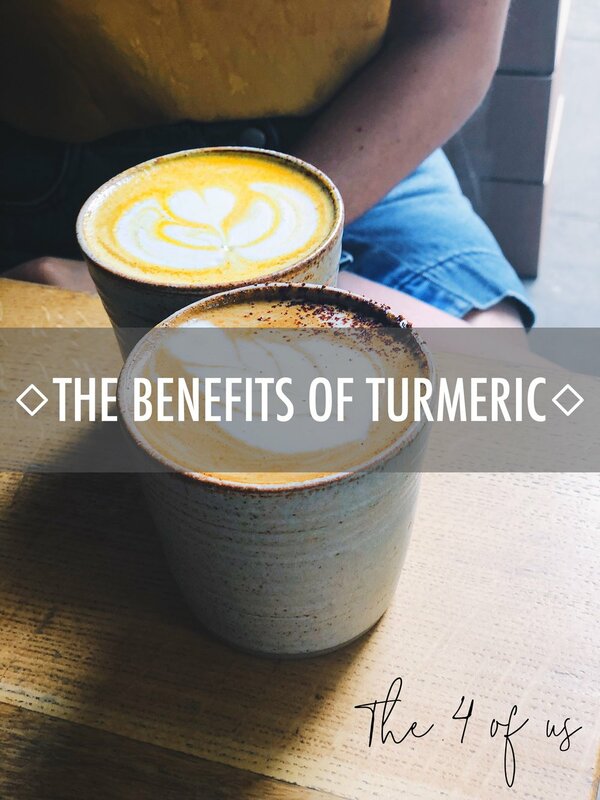 I even think it tastes really nice, so for me, it is a no-brainer to take the supplements and enjoy a turmeric latte or hot chocolate from time to time. surely it can't hurt and will hopefully only do good.